Watch out St. Croix – We are coming back!! A few months ago I wrote about how to make your monthly expenses work towards future travel, which has quickly become one of our most popular posts. For the past few years we have been utilizing our Travel Rewards Credit Card for our monthly expenses, then paying it off each month. 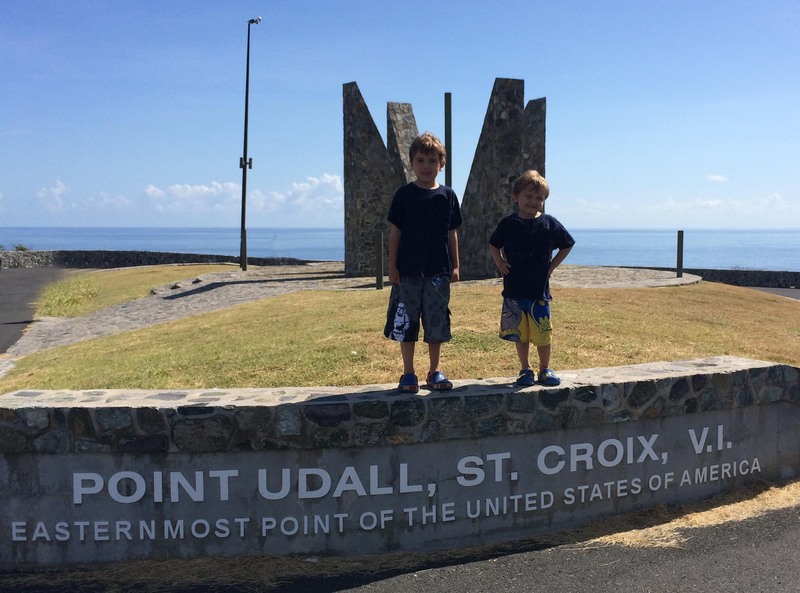 We sat down earlier this summer to plan a two week Fun Family Vacation to St. Croix USVI, and realized we had enough airline miles to purchase two of our four round trip tickets for free. I wondered, since two of our tickets are free, how much would it cost us to rent a condo for a little longer? I began to search the various vacation rental sites and had difficulty finding rentals with a monthly rate option. I sent private messages to several properties asking the owners if they offered a monthly “off season” rate. I heard back from almost every property manager/owner with a wide variety of discount rate options. A few offered smaller discounts, while several offered a monthly rate that was almost 1/2 of peak season rates. Because we are vacationing during “off season”, many properties offered a reduced monthly rate equal to what we would have paid for two weeks. For us, it didn’t make sense not to take the opportunity to stay for an extended time for about the same cost. In the end, we decided on a little more expensive property due to it’s secure WiFi (so we can work online), close proximity to the beach, and family friendly pool area. The monthly rate quotes we received ranged from $1600 – $4800 for a family of four. Travel & Medical Insurance for 4 people $288.00 Due to our son’s allergy concerns we always purchase additional travel insurance. This will also cover any weather related interruptions. Had we chosen the least expensive rental we could have dropped the monthly cost down to $3310. We also could have used our excess airline miles to further decrease the cost of the two paid tickets. We decided to save those miles towards future travel. By traveling during off season using airline miles and travel reward points, a family of four CAN vacation in the US Virgin Islands (airfare & lodging) for about $827 per person for an entire month! This is our second trip to St. Croix and we have a good idea of which grocery stores offer the best prices and where to get local farm produce and the best fresh fish. We also returned to St Croix due to the food allergy friendly grocery options on the Island. I have budgeted about $250 per week for food which includes 1-2 restaurant visits each week. We will pack some dried goods, (spaghetti noodles/macaroni & cheese), along with essential seasonings and condiments so we do not have to purchase them on the island. Hopefully this is conservative and we will be well under our grocery budget at the end of the month. Travel to your destination during off season. If using a credit card is right for your family, research and get the best travel rewards card for your spending habits. Use airline miles/travel rewards points to decrease the cost of your tickets. Contact property owners/managers directly and ask for long term discounts. Always contact owners/managers directly for off season pricing options for any length vacation. Ask locals where to purchase fresh produce and find the best priced groceries. Pack a few meal time essentials (dried seasonings, dried goods, zip lock bags, aluminum foil etc.) that tend to be pricey in tourist areas. If traveling internationally, make sure your destination will allow these items to be brought in through customs. 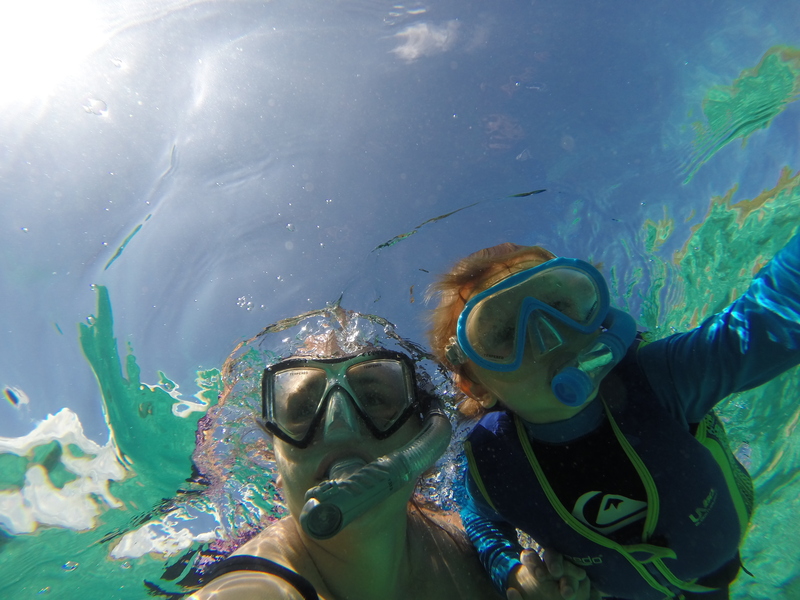 We will be blogging frequently from the Virgin Islands during our Fun Family Vacation – Please follow us here. Check out our recent blog post to learn how we Prepared for our long term vacation and download a FREE printable checklist. How cool to be able to go for a month! I could never do that, between work, family and pet obligations. But then, I’m a homebody at heart. Great pictures! These are great tips for vacationing on a budget. I would love to go on vacation for a month without breaking the bank. Definitely pinning these tips for future reference. Thank you! I hope you get a chance for an extended vacation. We’ll keep posting more tips. Thank you for your comments! That’s the way to travel! Great tips. My hubby is all about saving money and rewards on credit cards! Asking locals about fresh produce is a great tip! Thanks for sharing! Yes, locals are a great resource! Thanks for stopping by. Wow! Very impressive, reading your tips make me think we can take a vacation this year! Thanks. I hope you get to take a vacation! Be on the lookout for flash sales and off season pricing. Thanks for visiting. Great tips. We’re planning a week long beach vacation in the off-season and it’s amazing how much cheaper everything is. We love utilizing off season prices to save money. Thanks for commenting. I hope it is! We have never been gone that long. A little nervous, but I think will be be a great experience. We also have a hard time getting schedules to match up with work/school but the stars aligned for this one! Thanks for reading and commenting. Wow! This was awesome! I am always looking for ways to get the cost down for future trips for our family. I commented yesterday on google but will say it again, this looks so fun wish I could do it!! My husband works from home so this is definitely within reach if we could afford it. I will be following your tips!! I hope you get a chance to take a little longer vacation! Yes – please follow along and also email me with any questions if you decide to take an extended trip. I love to help people with vacation ideas. Thanks for commenting! I am so excited for you! What a wonderful adventure you are going to have! That’s amazing!! We love our travel rewards credit card, but the price you paid for your rental blew my mind. I want to do this. Thanks! I am amazed too. It is a super deal considering we are right on the beach. Please send an update if you get to do this sometime. Would love to hear about it! These are all fantastic vacationing abroad tips! It definitely helps when you’re planning to invest a lot of time and money into such a big adventure with the family!! Thanks so much for sharing! I am loving your blog and all of the information you have here! Your Caribbean trip looked like a lot of fun! This is great! I’ve been thinking about getting a rewards credit card for this exact reason, but never actually applied for one. A month long vacation would be awesome! This sounds like an amazing trip. What a memorable family vacation this will be. We’ve only visited the Caribbean during multiple cruises and would love to one day return for an extended land vacation. Travel rewards and points really do help a lot. We’ve talked about an extended trip like this for Europe but a little hard since we can’t work online or be away from work too long and the kids’ activities. Good for you for making it work. so cool! Memories made on a good, healthy budget! I would have chosen the hotel with wifi access too and I am in the same boat as you when it comes to a child with allergies…everytime we go somewhere we have a carry on of stuff just for him—I need to remember the insurance when we travel. I am happy y’all had a good time.